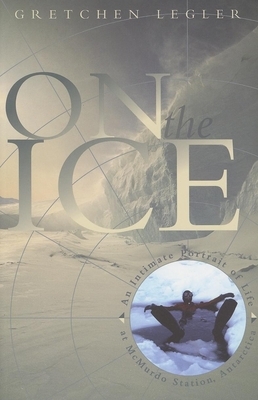 Travelogue, cultural meditation, and love story, On the Ice casts a panoramic view on one of the oddest communities in one of the most extreme places on earth. Sent to Antarctica as an observer by the National Science Foundation, Gretchen Legler arrives at McMurdo Station in midwinter, a time of -70 degree temperatures and months of near-total darkness. A lesbian struggling with a tumultuous past, she hopes to escape her own demons and present an intimate view of a place few will ever visit. What she discovers is a community of people stripped of any excess by the necessities of existence in a harsh land, where revered scientists are referred to as "beakers"; where cherished belongings are left without regret in a communal lost-and-found; and where women are rare but lesbians in high proportion. Forced to confront her own fears, Legler experiences firsthand how landscape and community allow a life to reset.